Health Management and Policy B.S. What is health management and policy? As a student in the health management and policy program you will learn how healthcare systems work, and you will develop professional and analytical skills in healthcare management, public health and policy. This field opens doors to a wide range of opportunities, from employment with government agencies and nonprofit organizations to private healthcare facilities. The coursework covers areas such as the financing of healthcare, management practices, marketing, healthcare ethics, healthcare law and epidemiology. You can also concentrate in public health to focus on human behavior and environmental health, or health services to focus on healthcare management. Why study health management and policy at UNH? The health management and policy program at UNH will prepare you for future leadership roles within the healthcare industry. You will receive a rich classroom experience with opportunities to participate in research and community outreach, and you’ll also gain 400-hours of hands-on experience through required fieldwork in an area of interest. The program has full certification by the Association of University Programs in Health Administration, and students are able to join campus chapters of professional organizations including the American College of Healthcare Executives, the Healthcare Financial Management Association and the American Public Health Association. The Health Management and Policy (HMP) curriculum includes a variety of health, healthcare, and policy courses. Students work closely with their advisor and faculty to develop a plan of study. Along with completing major courses, students will be guided to complete the University requirements for writing intensive courses and Discovery courses to obtain the required 128 credits to graduate. Students are required to complete a core of introductory courses prior to their junior year in the HMP major. Upper-division (junior and senior) HMP courses are planned in a two-year sequence, (see course sequence). The curriculum prepares students for their 400 hour internship, as well as a variety of positions within healthcare after graduation. It is important to note that internal transfer students may require an extra year in the major due to the prescribed course sequence. AP Statistics does not meet the statistics requirement. For HMP majors only: HMP 401 United States Health Care Systems will not meet the social sciences requirement. HMP 798H is taken for two credits Fall of senior year, if selected for Honors in Major. HMP 799H is taken for four credits Spring of senior year, if completing the Honors in Major thesis. HMP 622 Field Practicum in Organizational and Project Analysis, and Management Skills Development is the required 400 hour 10-week field practicum, (or administrative internship), which constitutes an essential part of the HMP academic program. The field practicum occurs during the summer between junior and senior year, typically beginning in late May and ending in late August, requiring a full-time commitment of the student. Students must be an HMP major and must retain a cumulative GPA of 3.00 or higher to be granted permission to enroll in the course. This experience allows students to explore an area of special interest in depth that integrates class work with a supervised field experience. Given sufficient timing of student requests, efforts will be made to arrange practica at distant sites based on special needs.Field practicum sites are selected by faculty with student involvement are often concentrated in central and Northern New England, but the experience could also be abroad. HMP majors must obtain a minimum of a B- in all HMP core courses and prerequisite courses. Majors must have an overall grade-point average of 3.00 to remain in the major. Students not continuing to make progress in the major, as evidenced by a mixture of generally low grades, incomplete courses, and/or administrative failures resulting in a cumulative GPA lower than 3.0 may, upon determination by the Health Management and Policy faculty, be excluded from the major and participation in the Field Practicum. An exclusion from the major may also be necessary to resolve questions concerning major departmental requirements or University academic standards. The academic action of exclusion could be a temporary action if a petition is completed by the student detailing the extenuating circumstances and providing supportive documentation. After the petition has been reviewed, a determination of denial or approval will be made by the Health Management and Policy faculty. Should a petition be granted approval to remain in the major due to extenuating circumstances, the student must demonstrate academic progress (B- in HMP courses and 3.0 GPA) the following semester or they will be excluded from the major without the option to return. Students interested in additional information or in applying for admission to the health management and policy major should attend an HMP information session, and/or contact the academic department coordinator. Efforts should be made to complete this process during the freshman year or early in the sophomore year to ensure sufficient time to complete the required courses (HMP 401, HMP 403, HMP 501, MATH 420, and Statistics). 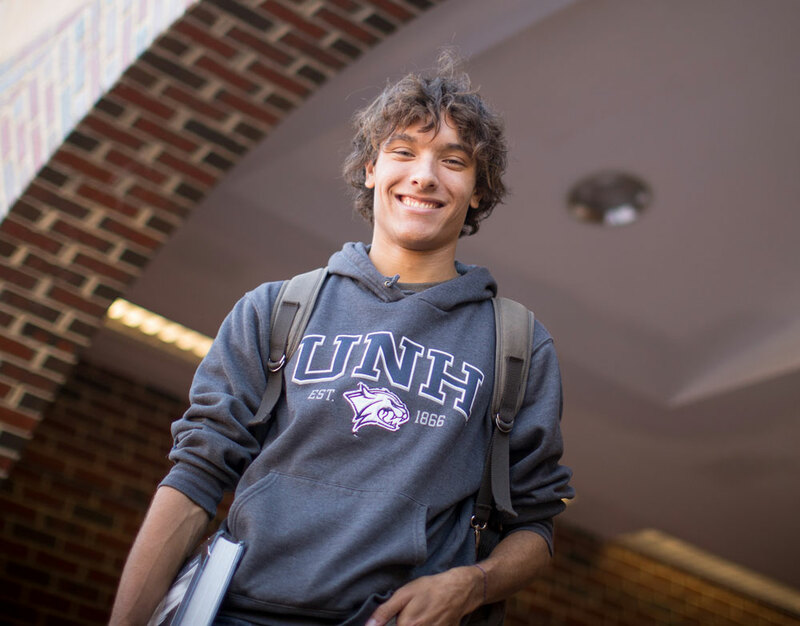 Admitted UNH students can apply to the major once the student meets the application requirements, a minimum cumulative GPA of 3.00 and at least two of the required courses completed with a B- or higher. The department offers an honors-in-major program. 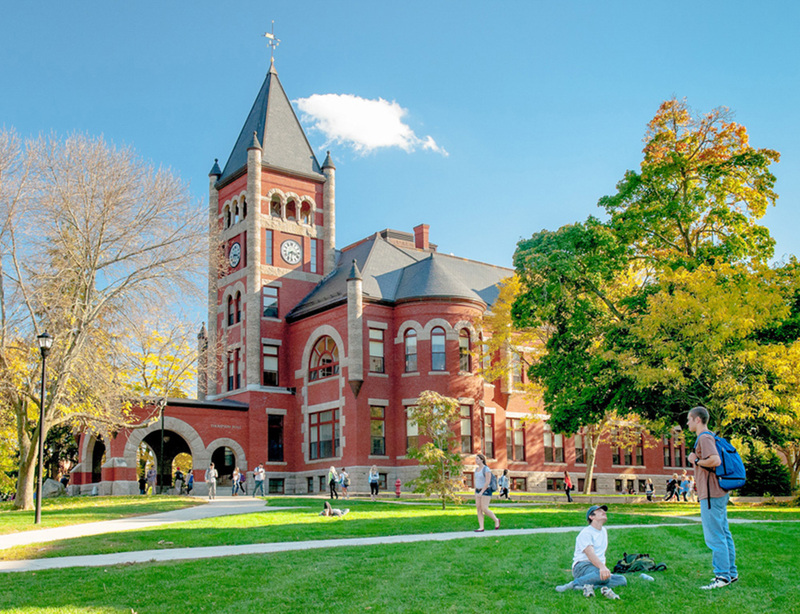 Students must meet the department's requirement of having an overall 3.7 grade-point average at UNH and a 3.7 grade-point average for required HMP courses taken by the end of the spring semester sophomore year to be invited to Honors-in-Major. Honors-in-major students take a total of three honors designated major courses during the junior year and senior year, as well as completing an honors thesis project during the senior year, HMP 798H and HMP 799H. Students work on the honors thesis with a faculty member within the HMP department who has knowledge in the specific topic. Students should contact the academic department coordinator for further information.